Have you ever wanted to escape to the Mediterranean? Throw off the shackles of a hectic nine-to-five existence, and simply head to a peaceful, charming and relaxing destination? 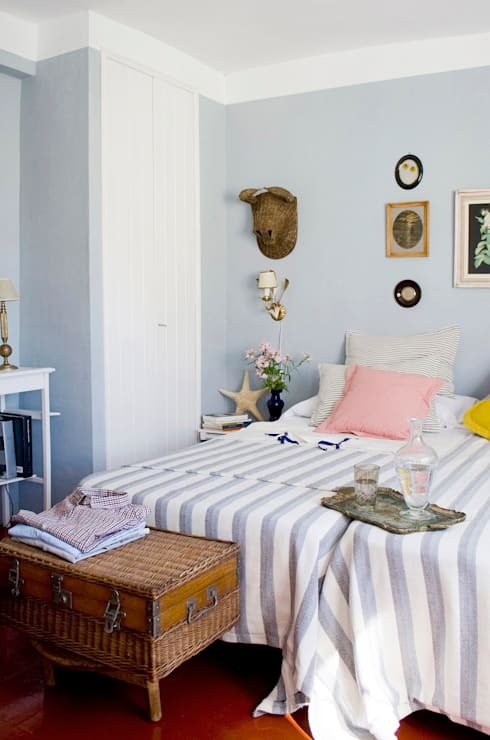 If any of these things sound like something you would like to do, then you are going to love today’s feature dwelling! Situated in La Rioja of Northern Spain, this impressive bed and breakfast has been designed by Madrid-based duo Iñigo and Rodrigo Aragón, who make up Casa Josephine. This nineteenth-century house has been transformed and completely modified to suit today’s need for comfort and relaxation. Boasting five bedrooms, two reception rooms, four bathrooms and a kitchen, the dwelling hosts approximately 10-12 individuals in luxurious Mediterranean comfort. 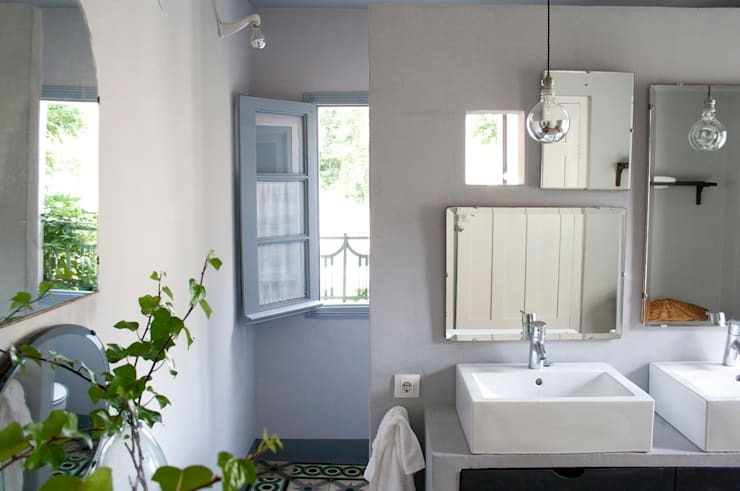 Calming, restful and simply brimming with character and charm, this is an ideal escape for those who wish to liberate themselves from a congested city lifestyle. 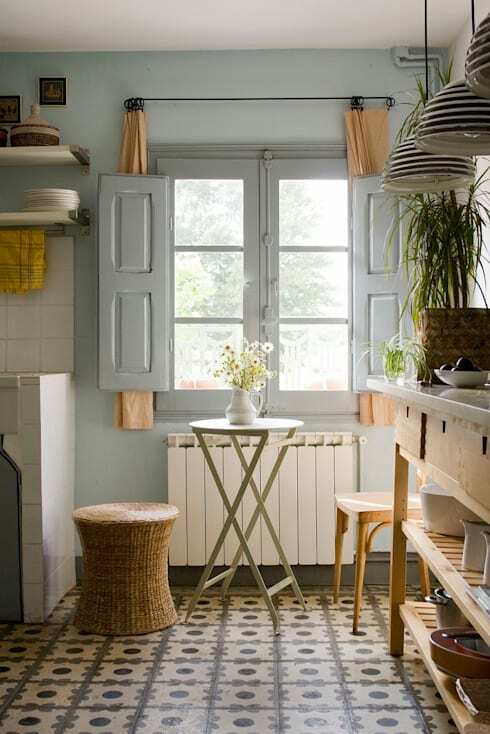 If you love the Mediterranean and its associated stylistic detailing, check out the images below and extract a few ideas to give your home a Spanish makeover or renovation today! The façade of this dwelling is neat, tidy and ultra alluring. With a charming sense of bucolic beauty, the home drawers us in, with the promise of style, comfort and countryside charisma. Aside from the large green vine that creeps across the front fascia, the colour scheme is rather muted, with dusty blue hues working well against crisp white and dark navy. This gorgeous open living room is truly where the magic begins! 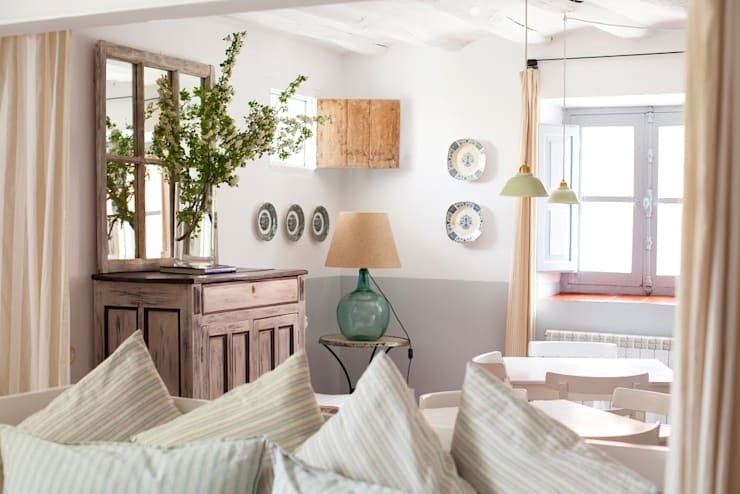 The first room we peek into has a beautiful ambience, and an atmosphere of rustic heritage, and chic modernity. Plenty of indoor plants have been incorporated, while colourful throw cushions bring out the tonal splendour of the historic floor tiles. The renovation of this abode included bringing to life the interior, in order to enliven and enhance its natural beauty. 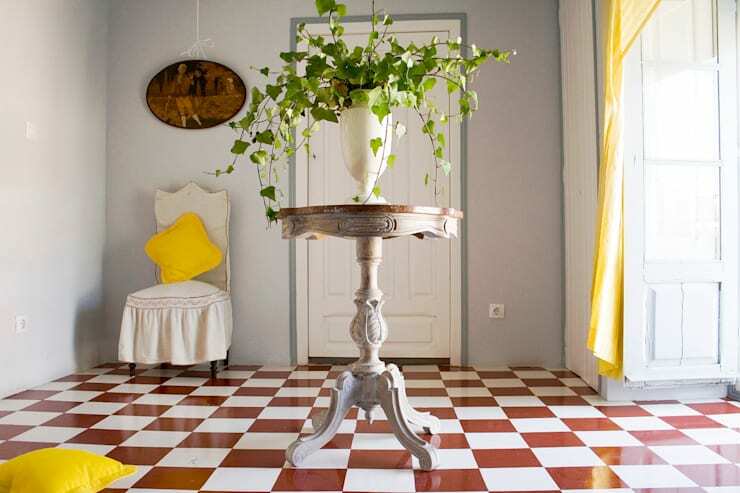 This is clear in this image, where the red and white tiles are paired with a dusty grey wall hue, bright yellow curtains, and contrasting wall art. One of the standout features of this home definitely includes the multi-level spiral staircase. Not a spiral staircase in the traditional sense, this impressive element provides an easy way to ascend levels, while also offering and eye-catching architectural component. Next up we head into the bedroom. The designers have opted for a simple yet elegant scheme, which brings out the natural features of the room. 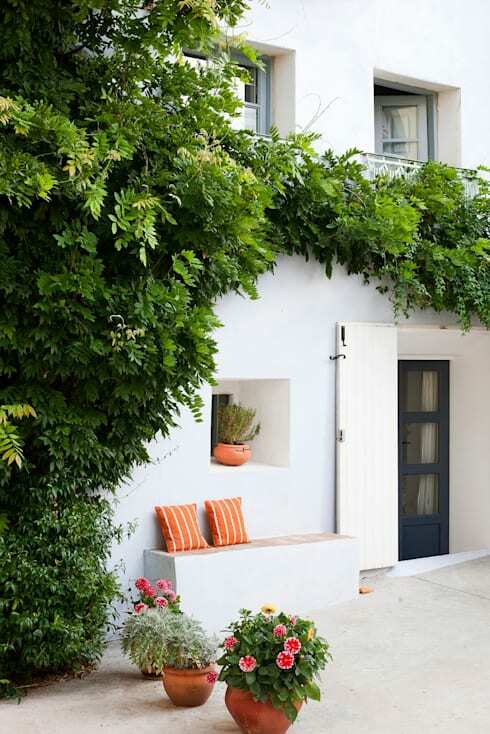 Offering two single beds, the area maximises its space, and imparts an almost coastal aesthetic. Within the kitchen, the newly renovated design helps bring a little of the outdoors, inside. This is done with a light colour scheme, and plenty of natural materials. We can certainly imagine sitting at the little table in the morning, watching the world outside, while nibbling on a delectable breakfast! 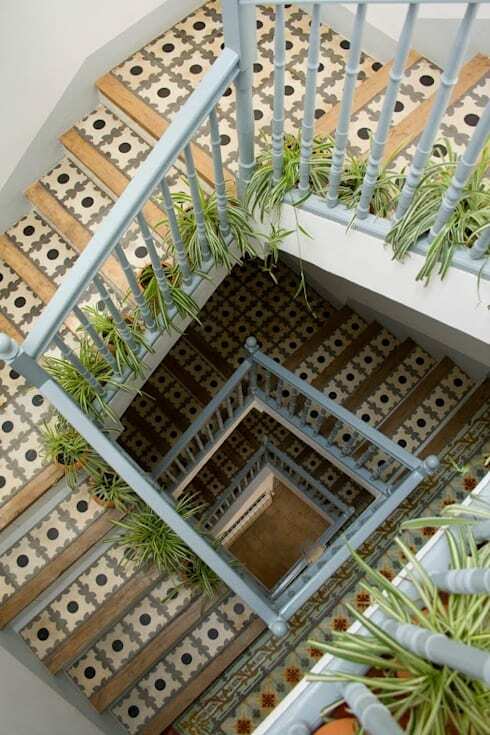 Once again the floor tiles are a definite feature, adding character and charm to the heritage property. Open plan living spaces ensure Casa Josephine is a family friendly dwelling. In this image we catch a glimpse of one of the living areas, which boasts a cosy lounge space, along with a neat sitting area. The incredible original timber beams can be seen inside this room, and have been painted a bright white to increase the perceived spaciousness. Within the bathroom tradition is met with contemporary fittings and fixtures. An intriguing juxtaposition, this works exceptionally well in creating a unique aura, with a refreshing and timeless sense of style. Twin sinks add opulence to this washroom, while the dangling Edison bulbs bring a feeling of warmth during the evening—perfect for that end-of-day soak in the tub! Finally, we enter the communal eating and living area. 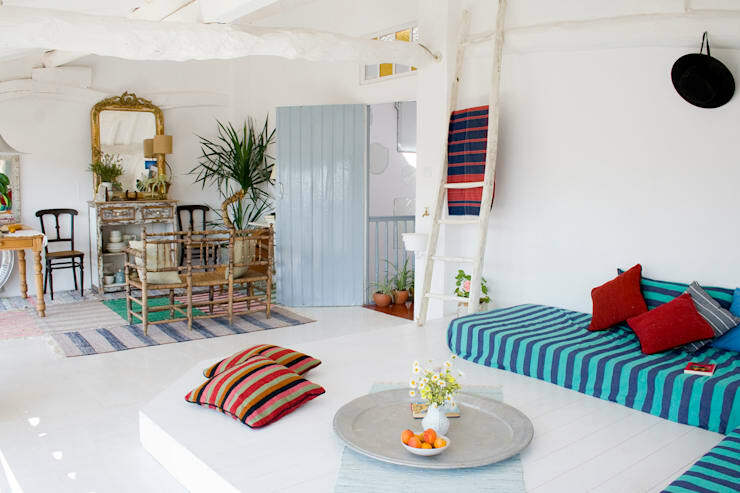 This room is light, bright and wonderfully airy, thanks to numerous windows, a sunny colour scheme, and plenty of white furniture. The dainty charm that we saw in previous rooms is continued in this area, creating the ideal socialising space. 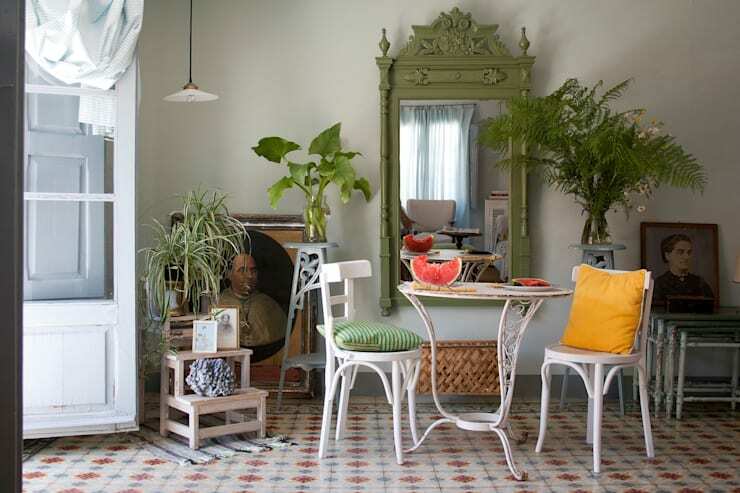 Would like to escape for a weekend at Casa Josephine? Tell us your dream getaway below!